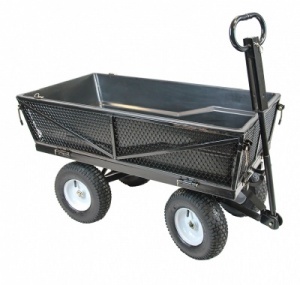 A practical log cart of sturdy steel construction, you can hold up to 100 kg of logs with this model. 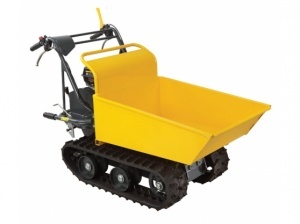 Also benefiting from 20 cm (10 inch) rubber tyres for easy manoeuvrability. 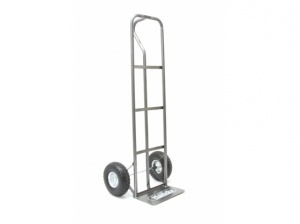 A P-handled sack truck, this model benefits from a 200 kg maximum capacity, tubular steel frame and puncture proof wheels with roller bearings, for easy manoeuvrability whatever its cargo. 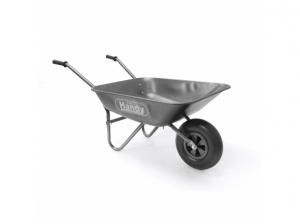 Ideal for a variety of tasks, this is a robust traditional style wheelbarrow with a weight capacity of 100 kg and a volumetric capacity of 65 litres, boasting a puncture proof tyre. 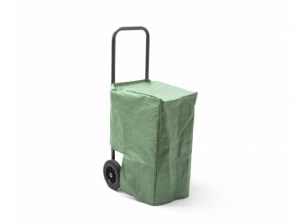 Allowing you to easily and safely move heavy objects, this folding sack truck weighs just 12 kg and can be simply folded down, while still holding up to 200 kg. 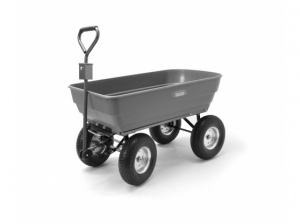 This is a 90 litre wheelbarrow with a powder-coated heavy duty welded tubular frame, also benefiting from an ergonomically designed tipping nose and a puncture proof tyre. 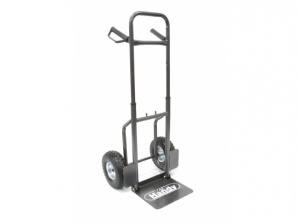 This small version of the Handy garden trolley has a load capacity of 200 kg, and is ideal for taking the strain out of all your gardening tasks. 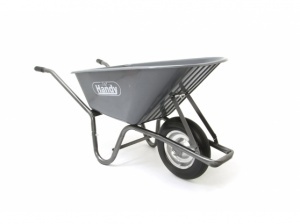 This strong and durable wheelbarrow is ideal for home and garden, and construction usage. 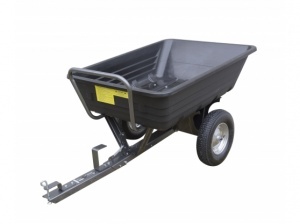 Featuring a galvanised tray with a 100 litre capacity and puncture-proof tyres as standard. 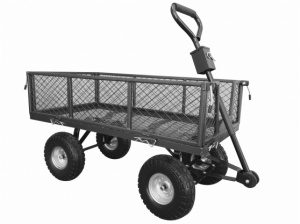 The Cobra GCT320HD Garden trolley has a load capacity of 320kg. is constructed of steel, and has hinged drop sides. It features large 13 inch diameter pneumatic wheels. 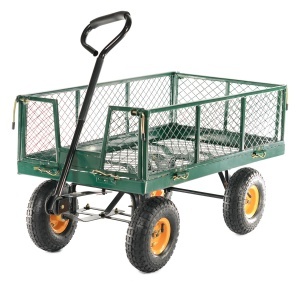 This large version of the Handy garden trolley has a load capacity of 350 kg, and is ideal for taking the strain out of all your gardening tasks. Able to be pushed or towed depending on your requirements, this poly bodied garden trolley has a maximum capacity of 200 kg, complete with tipping facility for easy emptying. The SCH GDTX extension sides are designed to be used with the 500kg trailer models (the GDTT/GDTT-GALV), to increase your capacity of your load. The GWTX10 features four easily removable heavy duty extension sides to fit the SCH GWTS10 tipping trailer to increase your carrying load. 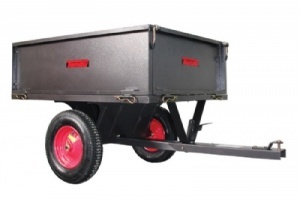 The towed Handy THGT500 is an excellent value powder coated steel trailer designed to be towed behind your garden tractor. 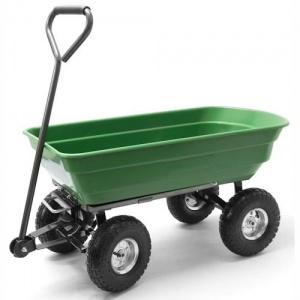 Features include a 500 lb / 225 kg capacity. 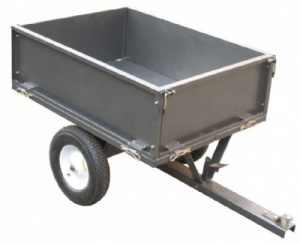 With a maximum carrying capacity of 295 kg, this is a tough and durable poly bodied dump trailer from Handy, ideal for manual pushing or towing by a lawn tractor or ATV. 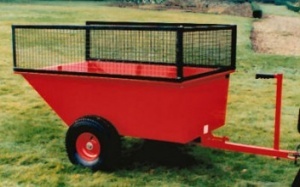 The Handy THMPC is a universal metal trailer, with a plastic liner, and a 300kg carrying capacity. 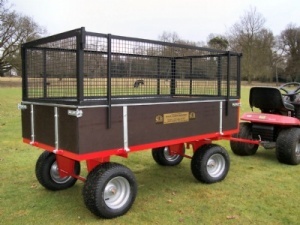 It can be pushed or towed to suit your requirements. 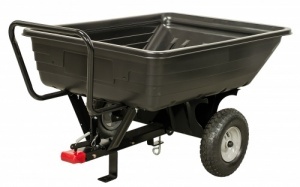 The Agri-Fabs heavy duty dump carts make extremely light work of heavy loads. 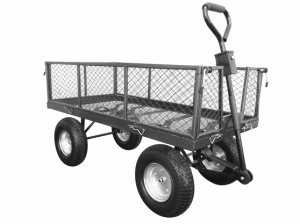 Contains a carrying capacity of 159kg. 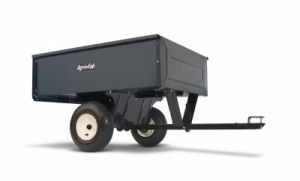 The Agri-Fab's heavy duty dump carts make light work of heavy loads, with a load capacity of 226kg. Suitable to fit most ride on mowers. 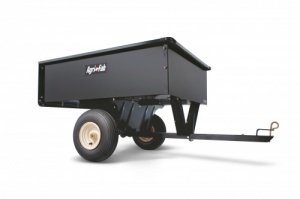 The GWTX415 features four easily removable heavy duty extension sides to fit the SCH GWTS415 tipping trailer to increase your carrying load. 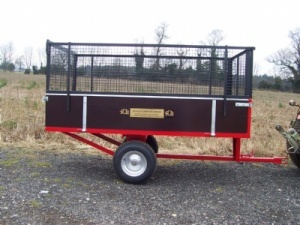 An orange, rugged dump trailer with a folding tailgate, this is an ideal piece of kit for easy loading, unloading and transportation. Able to hold an impressive 225 kg of load. 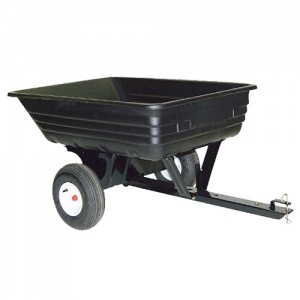 The Agri-Fab's heavy duty dump cart makes light work of heavy loads, with a total capacity of 340kg. Suitable to fit most ride on mowers. With a 300 kg load-capacity and backed up by a 205cc Briggs & Stratton OHV engine, this multi-purpose mini transporter not only provides excellent productivity but can also handle challenging terrain.